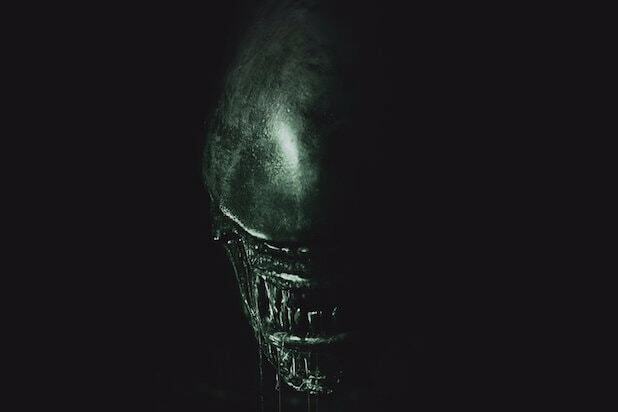 The first reviews for Ridley Scott’s return to his goriest brainchild, “Alien,” are in, and while critics praised the 80-year-old director for bringing ample amounts of horror to “Alien: Covenant,” the sequel has some missteps as it attempts to combine its 2012 predecessor, “Prometheus,” with elements of the franchise’s critically-acclaimed first two entries from over 30 years ago. The film currently has a score of 80 percent on Rotten Tomatoes, with critics’ takes ranging from rave reviews to mild praise to disappointment. The review by TheWrap’s Alonso Duralde fell into the second of those three categories, with Duralde describing the film as an “interstellar version of ‘Friday the 13th'” that is elevated by Scott’s direction but tends to wilt when the bloodthirsty extraterrestrials aren’t on screen. Released by 20th Century Fox, “Alien: Covenant” continues to bridge the timeline between “Prometheus” and the original “Alien,” following the crew of the first large-scale colonization mission as they discover a mysterious signal while on the way to a new planet. When they investigate the source of the signal, they find a planet that seems to be perfect for human life…except for the spores that give birth to the killer aliens that would go on to haunt Ellen Ripley and the Nostromo. As the crew begins to dwindle at the hands of the aliens, they encounter David (Michael Fassbender), the android that is the lone survivor of the doomed Prometheus. John Logan and Dante Harper wrote the script, with Scott, Mark Huffam, Michael Schaefer, David Giler and Walter Hill producing. During certain weekends at the box office this summer, some summer movies will have the advantage of being the only major newcomer and having moviegoers' undivided attention. But other films will have to fight it out for those hard-earned opening weekend dollars. 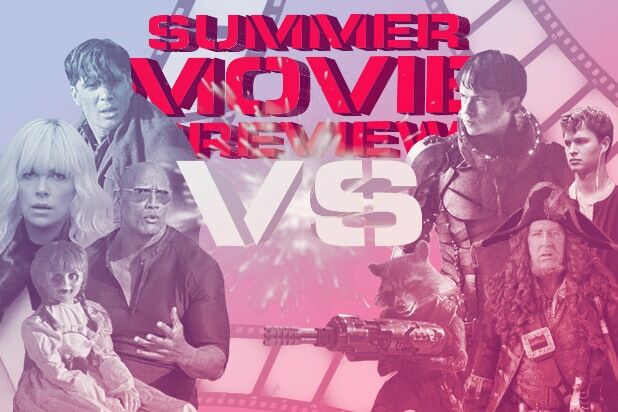 Let's take a look at five weekends that will feature some head-to-head battles at the movies. May 12: "Guardians of the Galaxy Vol. 2" vs. "King Arthur" vs. "Snatched"
There won't be much overlap between the target demos for "King Arthur," the Charlie Hunnam-fronted spin on the legendary medieval monarch, and "Snatched," Amy Schumer and Goldie Hawn's comedy. But both are going to have a hard time dealing with the juggernaut that is Marvel, as "Guardians of the Galaxy" will be favored to hold at the No.1 spot for a second week. May 26: "Baywatch" vs. "Pirates of the Caribbean: Dead Men Tell No Tales"
Both major releases in the last weekend of May will rely on star power. For "Baywatch," there is the irresistible lure of Dwayne Johnson and Zac Efron, both of whom will be coming off of big roles in sequels for "Fast & Furious" and "Neighbors." But even The Rock will have a hard time beating the draw of Johnny Depp as Captain Jack Sparrow in "Pirates 5," which will also see Orlando Bloom return to the role of Will Turner. June 9: "Wonder Woman" vs. "The Mummy"
A major problem plaguing DC Films last year was the severe second weekend drop-off for "Batman v Superman" and "Suicide Squad." If "Wonder Woman" can get better word of mouth and critical reception, it could avoid those problems as it enters its second week against a female-fronted reboot of "The Mummy." June 30: "Baby Driver" vs. "Despicable Me 3"
Edgar Wright versus those infernal Minions. What a matchup. The writer-director behind films like "Hot Fuzz" and "Scott Pilgrim vs. The World" will work his cult movie magic again in a film about a talented young getaway driver forced to work for a crime lord. Against "Baby Driver" is the third installment in Illumination's crown jewel, in which Steve Carell will play both Gru and his long-lost twin brother. July 21: "Dunkirk" vs. "Valerian and the City of a Thousand Planets"
These two titles might be the biggest gambles of the summer. Christopher Nolan's "Dunkirk" will try to become a major hit despite being a PG-13 movie about World War II in a release period dominated by escapism. Luc Besson's "Valerian" would certainly provide that escapism, but will have to sell an unfamiliar concept -- in this case a French graphic novel -- to American audiences with Dane DeHaan and Cara Delevingne in the lead roles.